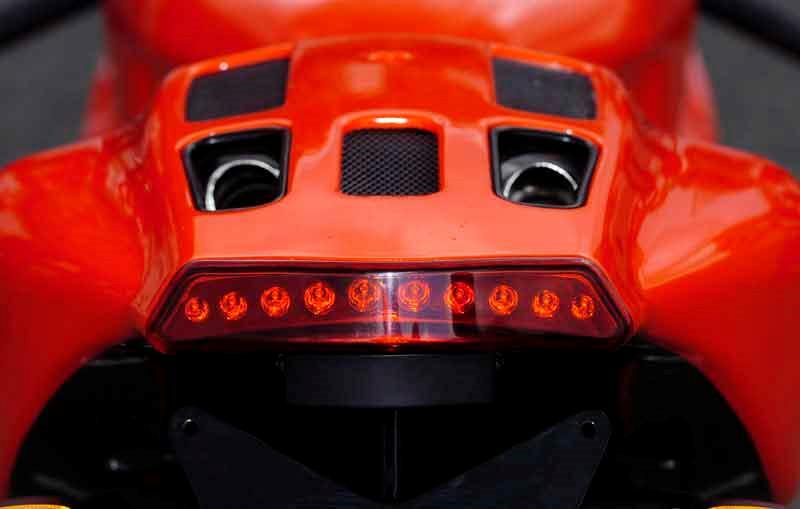 There’s no other way to describe the Ducati Desmosedici RR than as a MotoGP bike with lights; it really is that close to the real thing. 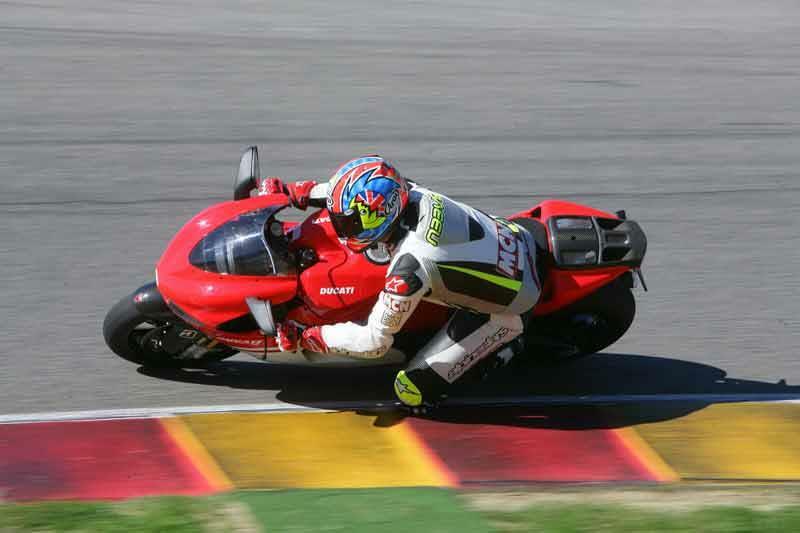 The 200bhp motorcycle is a replica of Ducati’s Desmosedici GP6 MotoGP machine, which Loris Capirossi and Sete Gibernau rode in 2006 and features the same chassis layout, bodywork and ‘long bang’ 989cc V4 engine architecture. There has never been a road motorcycle like the Ducati Desmosedici RR, it’s so stiff, fast and focussed that it makes R1s seem soft and cuddly by comparison. 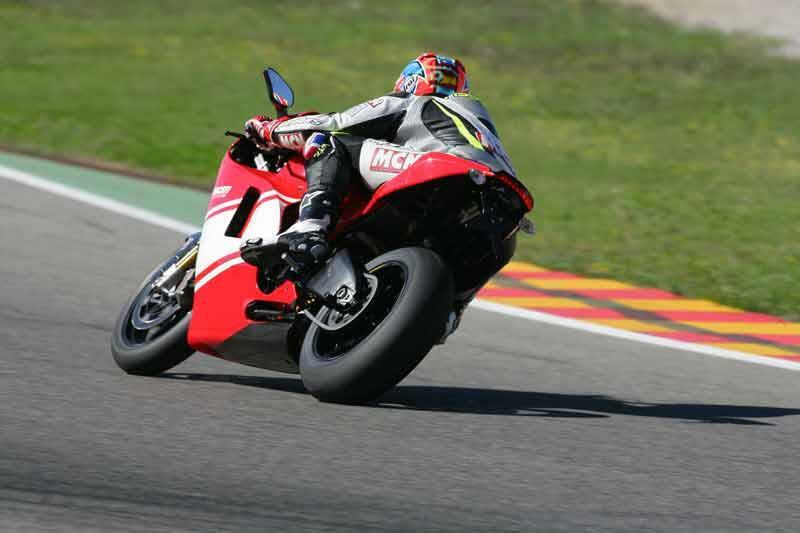 Unless you’re going to push the Ducati Desmosedici RR as hard as MotoGP rider can, you’re never going to get the best out of it. Such is the stiffness of the chassis there’s very little feel from the Desmosedici RR even at fast racetrack speeds, although you get more feel as you start to push harder. On the road the Desmosedici is going to be a waste. 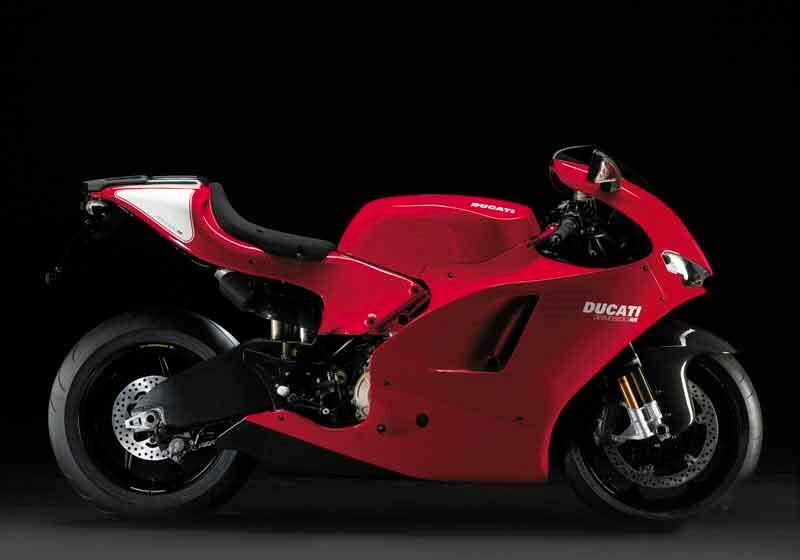 Where a 1098 or R1 will flatter you with its user-friendly nature the Ducati is quick to tell you that you’re not good enough to ride it. 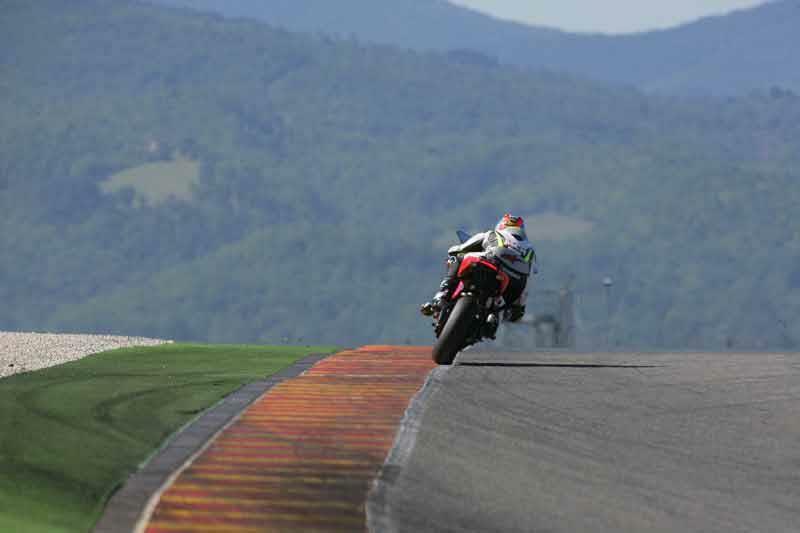 It is the best handling road motorcycle ever built; you just need to be Casey Stoner to appreciate it. 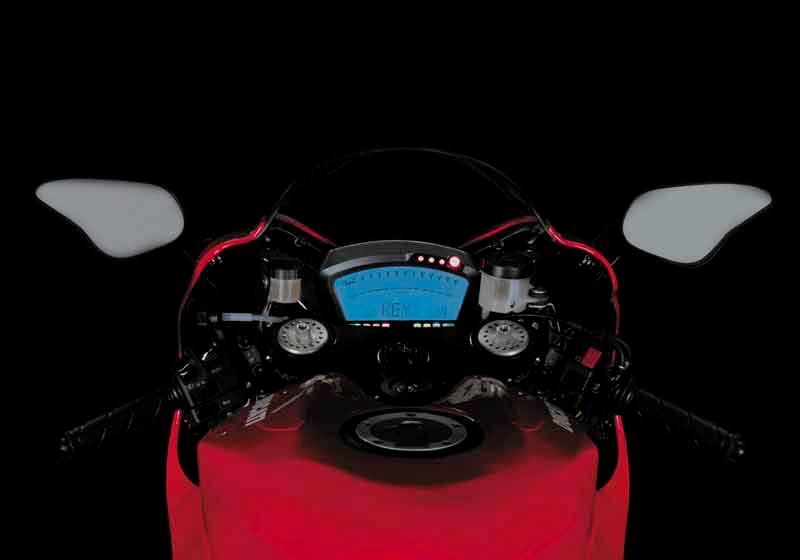 Although devilishly powerful the Ducati Desmosedici’s V4 motor is far more docile and user-friendly than you’d imagine. It makes power smoothly from tickover all the way to 13,800rpm, although as the motor spins past 10,000rpm the power starts to get very intense. There’s bucketfuls of grunt on tap too, so much so that you can go a gear higher though corners and it’ll still pull hard. Like one of Ducati’s V-twin engines, the Desmosedici is deceptively fast, not like a screaming in-line-four superbike, which feels twice as fast as it’s really going. 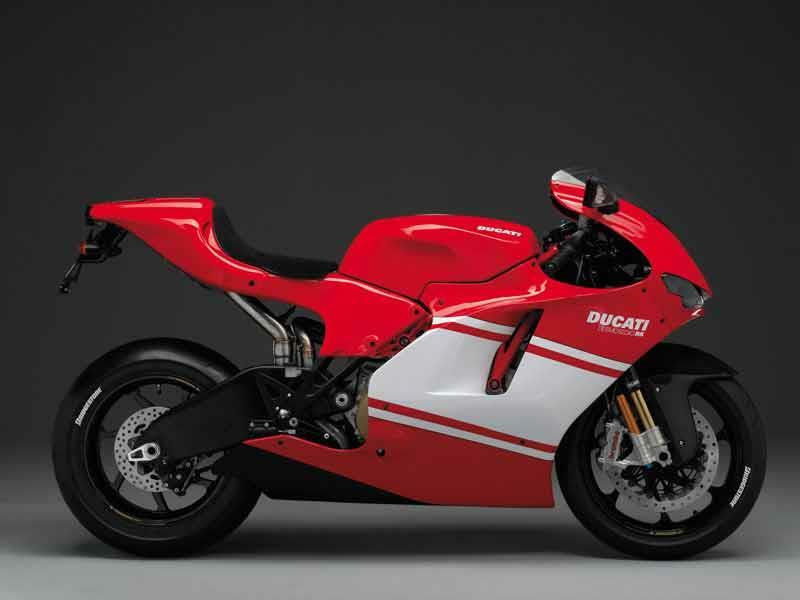 Like the MotoGP machine the Ducati Desmosedici RR is built to an exquisite level of quality; there’s simply nothing you can buy that comes close. Unlike the race bike the Desmosedici RR actually comes with a three-year warrantee and three-years free servicing, which is an astonishing feat from Ducati. 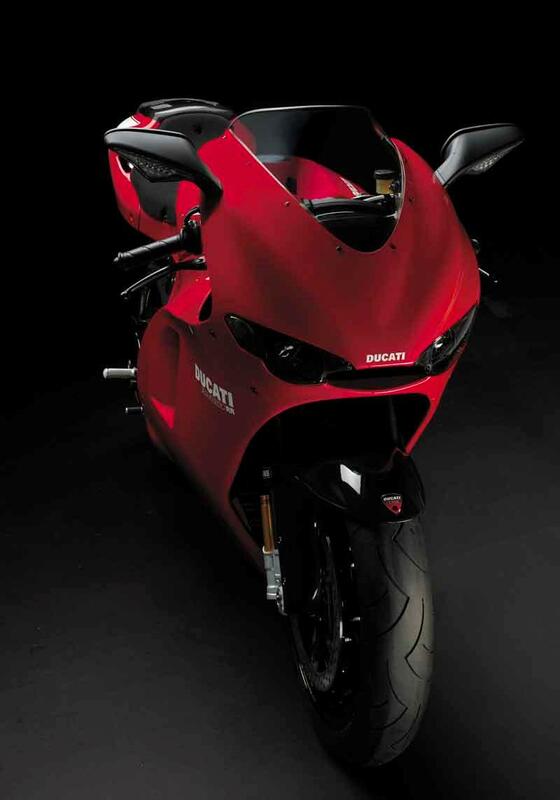 Ducati could have sold the Desmo for a lot more than it's £40K price tag and it would still be have beem worth it. If you could imagine how much a car would cost that was this close to a top racing machine? Probably millions, if it could ever happen, which it never would or could. If you can find one for sale and you have the cash we recommend you snap it up sharpish. 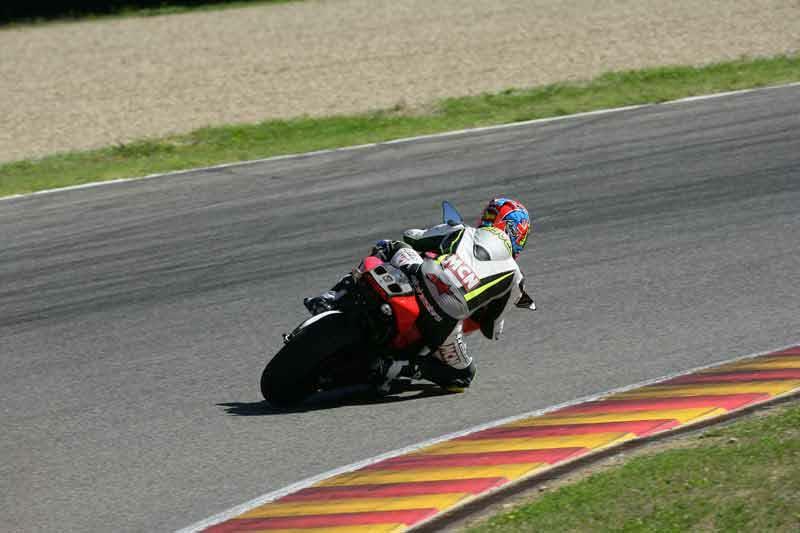 Find a Ducati Desmosedici RR for sale. 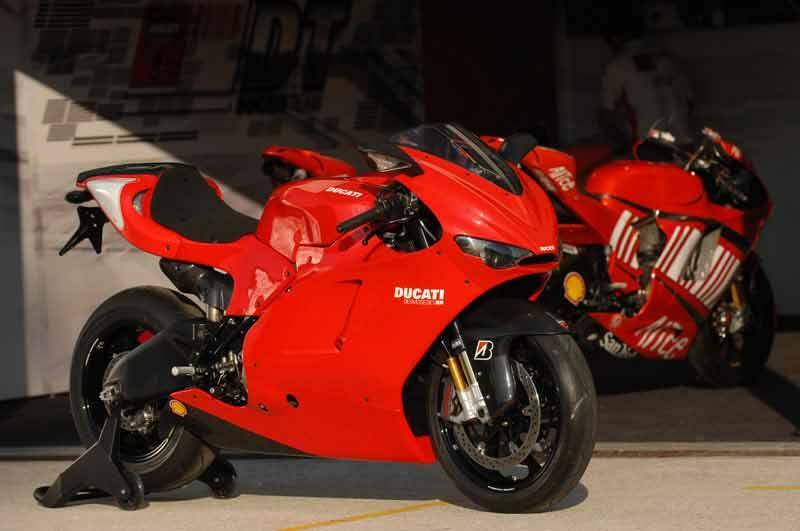 2007: Ducati Desmosedici RR launched. 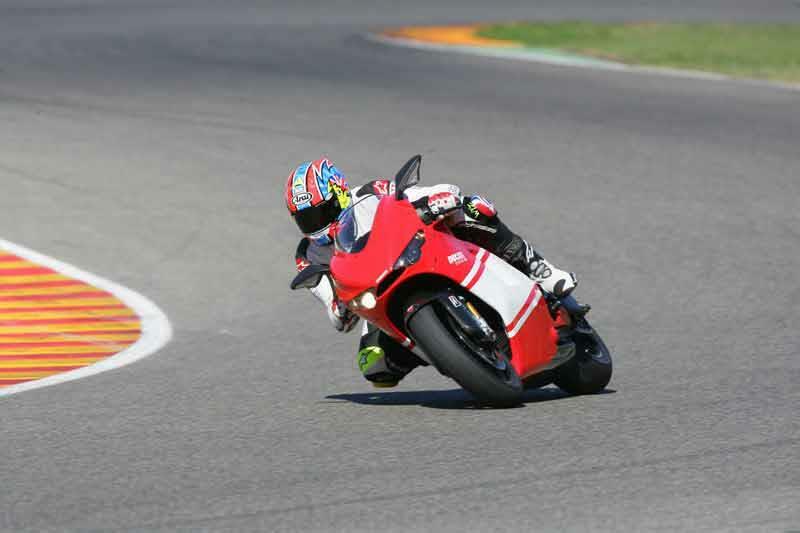 4 owners have reviewed their DUCATI DESMOSEDICI RR (2007-2009) and rated it in a number of areas. Read what they have to say and what they like and dislike about the bike below. So since when does going out for a test ride count as being an owner for a review? The package overall is phenomenal, the bike's suspension needs to be set up for the individual rider, it's stiff as hell from the crate. Standard equipment from the carbon to the slipper clutch to the engine and noise turns heads. There have been a number of recalls, everything works on mine just fine. Given the amount of titanium and other exotic bits it's hard to criticise value. 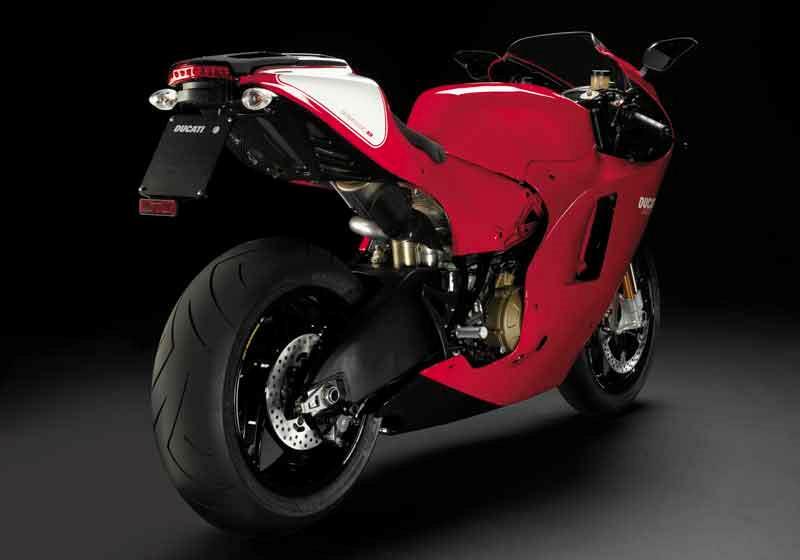 The bike is all about the engine and the handling and the looks, I'd say the engine is the most stunning of the three. Best stay with a Busa, dray horses and thoroughbreds don't mix. 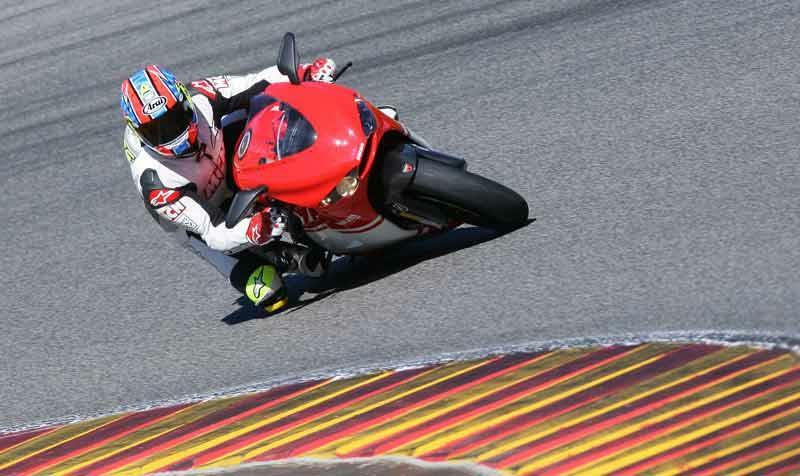 took a test ride on the ducati, after getting off my 08 hayabusa. 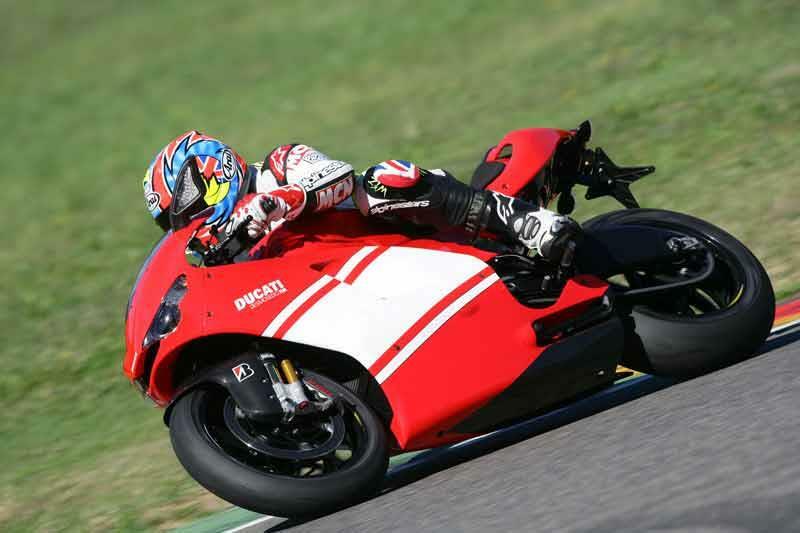 the ducati is really uncomfortable, and really small... and been a ducati, i bet it won`t be very reliable, in years to come.. It's worth the wait, the money, the sleepless nights and is more than all your expectations.